Attleboro @ Canton – Postponed to a date and time to be announced. Taunton @ North Attleboro – Postponed to a date and time to be announced. Canton @ Attleboro – Postponed to a date and time to be announced. Foxboro @ Mansfield – Postponed to Friday, 9/7 at 3:30. Sharon @ King Philip – Postponed to Friday, 9/7 at 6:00. North Attleboro @ Taunton – Postponed to a date and time to be announced. Stoughton @ Oliver Ames – Postponed to a date and time to be announced. Canton, 3 @ Attleboro, 0 – Final – Canton opened its season with a sweep on the road over Attleboro 25-18, 25-13, 25-10). Attleboro raced out to an 8-1 lead in the first set but the Bulldogs regrouped to find their stride. Erin Devine had 12 kills without a hitting error as well as one block. Julia Minichiello had a strong day with 33 serves, seven aces and a strong defensive game and Nicole Brown had 16 assists, four kills and two aces. 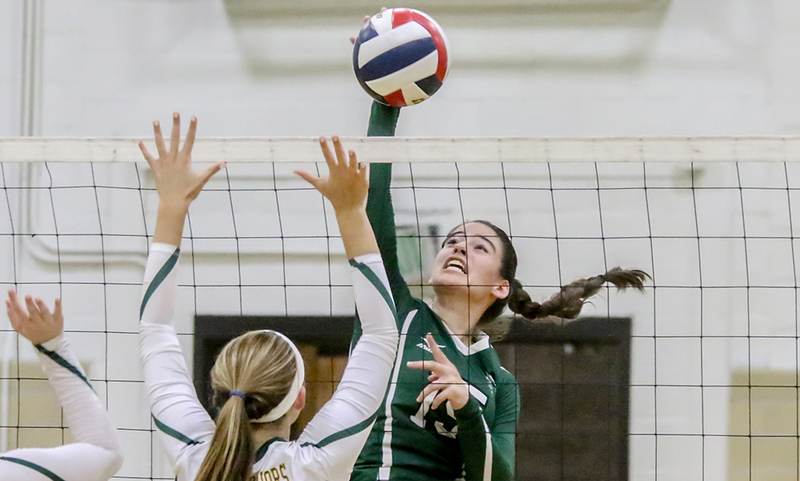 Foxboro, 1 @ Mansfield, 3 – Final – Just when it looked like Foxboro was going to tie it at 2-2, Mansfield’s Sam Sternberg rattled off four straight service points to give the Hornets a 26-24 win in the third set, and a 3-1 win in the match. Sternberg finished with 16 service points and 10 digs while Emily Dardinski had nine kills, and Greenly Kelly finished with seven kills and nine service points for the Hornets. Milford, 0 @ Franklin, 3 – Final – Franklin opened its season by defending home court with a 3-0 win (25-11, 25-16, 25-20) over Milford. “The girls did a nice job of being the aggressors in the game and then staying aggressive throughout,” said first-year head coach Kelsey Weymouth. Senior Maggie Doyle and sophomore Allyson Bonnet (four aces) each had seven kills to pace the offense, Ellie Wisniewski added four aces and senior setter Lauren McGrath finished with 23 assists for the Panthers. Mansfield @ Attleboro – Postponed to a Wednesday, 10/10 at 2:30. Sharon @ Canton – Postponed to 9/12 at 3:30.